Cooke’s Plumbing and Septic Services Has the Know How! The main reason we get so many 5 star ratings is our professional staff. With over 50 years experience servicing the Treasure Coast, we have learned over the years that a well trained, licensed and friendly plumbing expert is essential to a great customer experience. We invest in our staff because we know the more highly trained and professional they are, the better the work they will do and the more referrals we will get from happy clients. Continuing education is one of the big reasons we get so many 5 star ratings and have a high BBB rating. Locally owned and operated from our Stuart headquarters, we have developed a relationship with our residential and commercial customers over the years (our neighbors) and have always strived to ensure optimal results. That’s why residents from Vero Beach to Hobe Sound, Stuart to Port St. Lucie continue to use Cooke’s, because we get it done right the first time and make sure you are completely satisfied when the job is done. We provide continuing education for all of our septic technicians and plumbers. In our classes, we update our plumbers and septic techs with current plumbing and septic codes. This is important when you are dealing with an ever changing septic landscape in Martin and St. Lucie Counties. 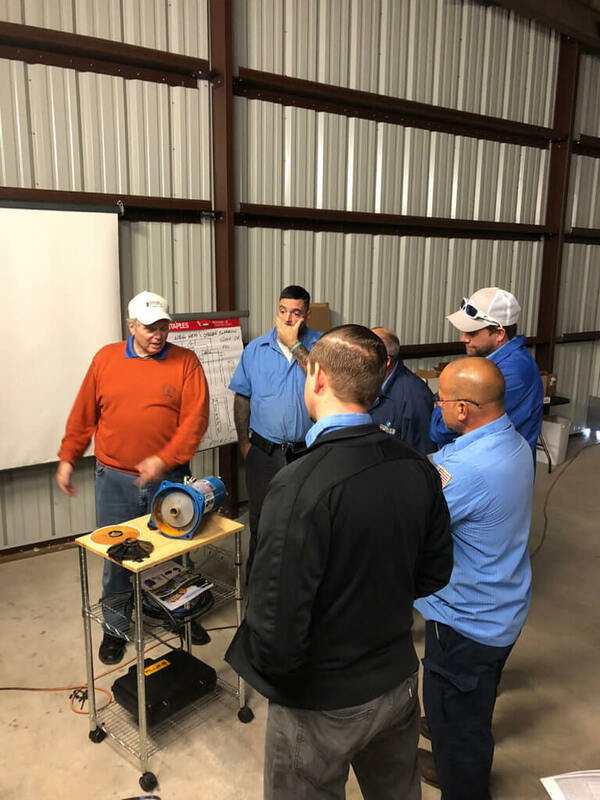 We also conduct hands on training with the latest in septic equipment and plumbing technology to ensure your plumber or technician arrives to the job ready for any emergency! Not only are you getting a licensed technician, you are getting someone who is an expert in the field and whose main goal is to ensure you have a great experience with the problem fixed the first time around! Our team is ready to handle any problem you have 24 hours a day – 7 days a week! Call the Cooke’s hotline at 888-998-9034 any time or day, to get the absolute best repair, maintenance and installation team to your Martin or St. Lucie County location right away! 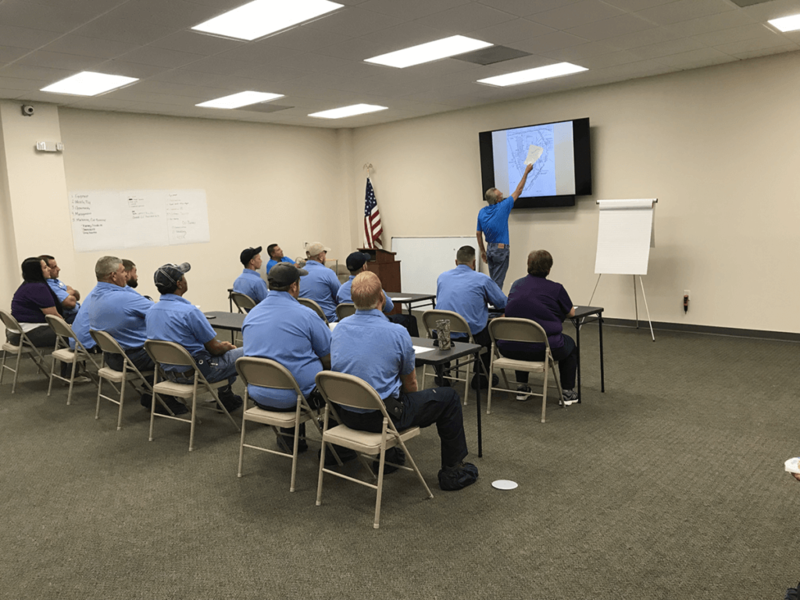 Our plumbers, septic technicians, dispatchers and management go through extra training procedures every week. We meet every Tuesday morning. Our whole team trains for one hour every week. We train on plumbing technology, tools and techniques of course but we also train on customer service and how we respond to our customers needs. The main thing is we train train train for consistency and for our customer’s complete satisfaction, something we take great pride in. We are a 5 Star company, part of the NexStar Network. NexStar is an organization of the Top 600 plumbing, electrical and air conditioning contractors nationwide. We are unique in NexStar in that we are the only septic company. There are plenty of plumbers. NexStar provides us to lots of access to extra training tips and advice so we can bring consistent quality to our customers. Not all plumbing and septic companies are alike. We like to think our extra emphasis on ongoing training, customer satisfaction and professionalism is what sets us apart, and part of the reason Cooke’s has so many satisfied clients and over 500 5 star reviews in Google.